Readers of the DB Sports blog will know one increasingly prominent theme for our work is balancing our belief in the need to strengthen Irish youth football, with extending our links abroad, often to the United States. 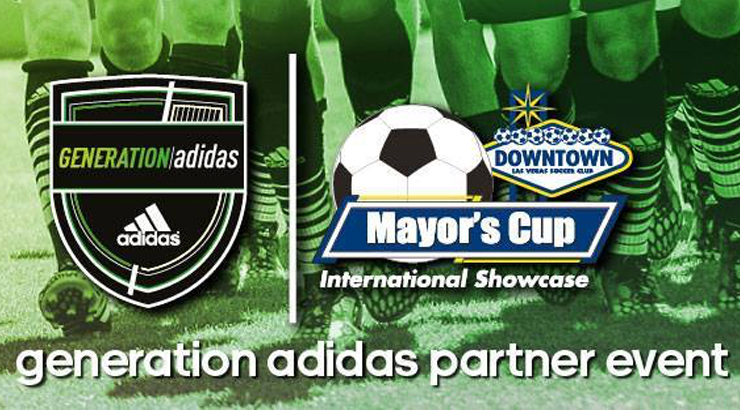 Today we have more such news, where we can proudly announce that DB Sports Tours have been appointed the official international tour partners for The City of Las Vegas Mayor’s Cup International Showcase, Mayor’s Cup for short. The Mayor’s Cup is potentially a once in a lifetime opportunity for players – a soccer tournament where over 400 college coaches attend each year. In the US, you could pay for your education through football, and potentially end up in, likely in the MLS. The Mayor’s Cup, which is co-hosted by the City of Las Vegas and Downtown Las Vegas Soccer Club, hots both boys’ teams and girls’ teams. The boys’ tournament will take place from February 17-19 2018, while the girls’ tournament will take place from February 23-25 2018. The Mayor’s Cup now use eight different LV locations, with all field locations viewable here. Where your team will be playing will not be known until schedules are finalised. It must be noted that parking at each venue will be free. Teams from all over the world have competed in the Mayor’s Cup in the past – 35 countries including the United States. From England, Accrington Stanley have made the trip before, while French side Team LA 59-62 took part, as well as German outfit Borussia Monchengladbach. For the 2002 age group there will be one truly exciting prize to play for – a seven day all expenses paid trip to Madrid. To travel to perhaps the most luxurious city in world football is an opportunity not to be taken lightly. One final note, Adidas are the prime sponsor the the tournament. DB Sports Tours are extremely happy to be a part of The Mayor’s Cup not just for the 2018 iteration, but for many years to come, too. If you are interested in taking part in the Mayor’s Cup you can contact our office by checking out the following link.